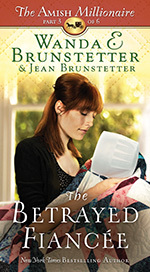 Wanda E. Brunstetter pens a dramatic new 6-part serial novel along with her daughter-in-law, Jean. 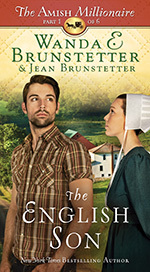 When Joel Byler, prodigal son, returns to his wealthy and eccentric Amish father to ask for money—again—he receives a chilly reception. 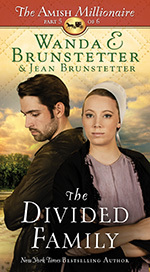 When will the worldly young man learn he must pay for his own mistakes—and at what cost to his business, his fiancée, and his Amish family? Now Available as a Boxed Set! 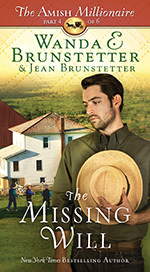 When Joel Byler turned eighteen he left his Amish roots, but living the good life out in the world requires money, and he finds himself going back home to ask his wealthy and eccentric father for a cash loan—again. But how many times can Joel expect to be welcomed back before his father’s patience with him wears thin? 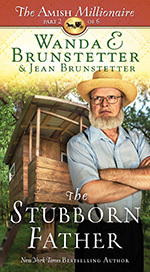 In Part 2 of a thrilling new 6-part serial novel, the Brunstetters unpack the heartache of Amish widower Eustace Byler whose eccentricity and wealth isolate him. In Part 4 of a thrilling new 6-part serial novel, the Brunstetters explore the stress that a family under the pain of grief can feel. In Part 5 of a thrilling 6-part serial novel, the Brunstetters bring the Byler family close to the breaking point when multiple disasters strike. 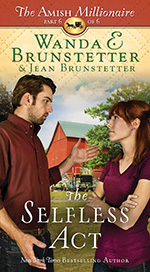 In the conclusion of a thrilling 6-part serial novel, the Brunstetters show what true compassion looks like within a family that had lost its faith in each other.